Needless to say, it won’t be a happy weekend for federal prosecutor in Alabama who came up empty handed after a long, high profile trial. The Wall Street Journal reports that an Montgomery, Ala. federal jury failed to convict any of the nine defendants in a corruption trial involving gambling legislation and businessmen, lawmakers and lobbyists. 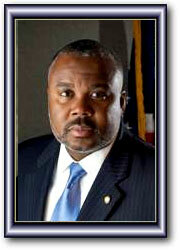 State Sen. Quinton Ross and lobbyist Robert Geddie were acquitted on all counts, the Journal reported. The jury found others others not guilty on some counts and deadlocked on others. U.S. District Judge Myron Thompson declared a mistrial on the undecided counts, and planned to schedule a retrial. “We appreciate the jury’s service in this important public corruption trial. Our prosecutors will discuss next steps as we move forward in this matter,” said Laura Sweeney, a spokeswoman for the Justice Department, in a statement quoted by the Journal. “They didn’t have a single guilty verdict, armed with everything they had,” he said in the Journal report. To read more click here. Posted: 8/12/11 at 5:51 PM under News Story.